Craft cider isn’t just for drinking! There are more and more food artisans that are including cider in their edible creations, a trend we’ll examine in this column, “Made with Cider.” Know of something we should highlight? Reach out to us at cheers@ciderculture.com. Yeah, we love cooking with cider, but what about when you need to hoard all of your cider for actual drinking? And what about those times you’re craving that sweet, acidic hit from cider, but there’s no clear way how to incorporate it into your dish? Enter: Carr’s Cider Syrup. 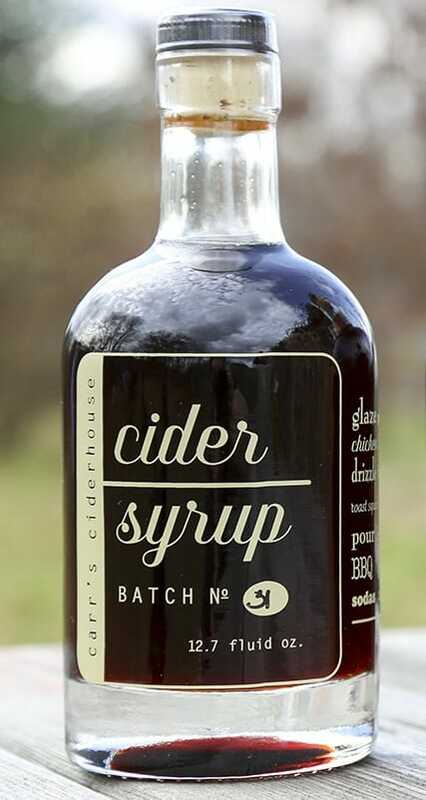 Made by Carr’s Ciderhouse, this is essentially just what it sounds like: 100% organic apple cider that’s boiled down until it’s a sweet, tangy and super-concentrated syrup that you should probably be pouring on everything! 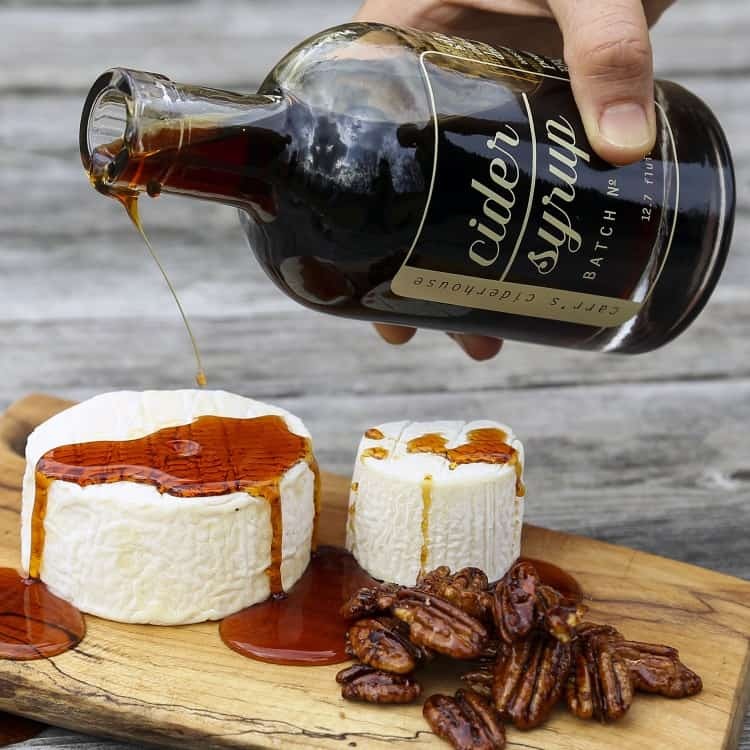 Nicole Blum, who co-owns Carr’s with her husband Jonathan Carr, says they got the idea for the cider syrup by making DIY, food-related holiday gifts for their friends. “Being orchardists and having a cider house means that those food gifts generally include cider as an ingredient. We are awash in the stuff right before the holidays!” she says. Now, Carr’s Cider Syrup is the company’s most-popular product! And it wasn’t until Carr’s starting selling it did they find out that, according to the North American Slow Food Ark of Taste, boiled cider is a New England culinary tradition dating back to as early as 1677. “We live in Hadley, Massachusetts!!! Our decision to produce cider syrup, AKA boiled cider, seemed destined,” Blum enthuses. It can also be used to replace sugar in apple pies, drizzled over ice cream or, if that photo of the cheese plate above has you feeling wild with desire (um, us too), add some to your next cheese plate and never look back. “We think it should be in everyone’s pantry, like ketchup!” says Blum. Need more cider-goodness from Carr’s? 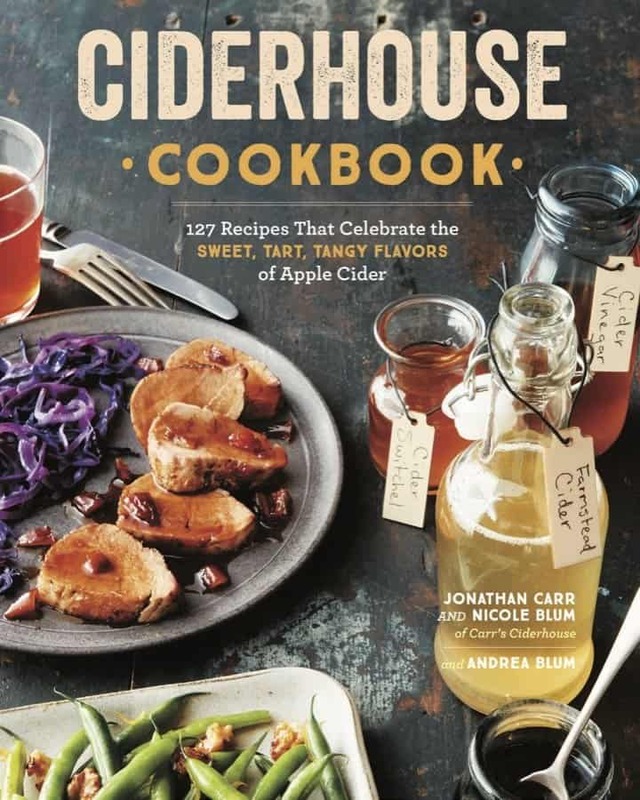 Check out its other pantry products, including switchel and cider vinegar, and get excited for the company’s new cookbook, Ciderhouse Cookbook: 127 Recipes That Celebrate the Sweet, Tart, Tangy Flavors of Apple Cider. Carr’s, you just get us cider-lovers! For more information on Carr’s Cider Syrup, its new cookbook, as well as its wild-fermented, small-batch hard ciders, check out Carr’s website and Facebook and Instagram pages. Carr’s Ciderhouse is located at 95 River Dr., Hadley, MA; phone: (413) 336-7363.